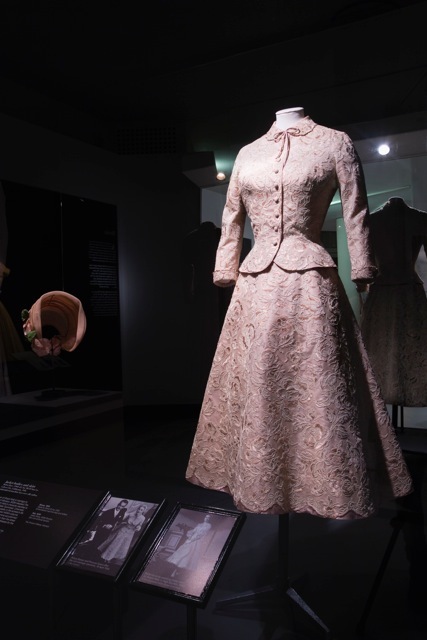 Some of you may know already that I recently went on a country girls' getaway with my mother to Bendigo to view the Grace Kelly: A Style Icon exhibition. I am so thrilled that I did! It was simply amazing. The package I purchased was the Country Girls' Getaway, which included one nights accomadation at the City Centre Motel (4 star), breakfast, in-house Grace Kelly Movies, plus 2 x tickets to the exhibition. The special pack I received upon check-in, which included a terrific shopping and dining guide, special discounts and maps. The exhibition was held at the Bendigo Art Gallery. The session was timed by the hour to prevent the influx of visitors, which I felt worked really well. There was plenty of room and I didn't feel like I needed to hurry up, so instead, took my time, taking in every detail. I could have spent all day looking at every single minute detail of each and every one of the stunning gowns that adorned this beaufiful and graceful Princess. 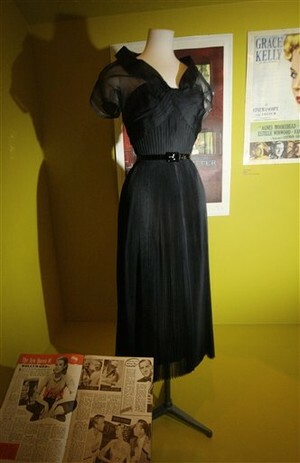 My favourite garment would have to be the little black dress made from silk chiffon. It featured a gorgeous neckline and fine pleating. A patent leather belt cinched in the waistline. It is still so appropriate for 2012. One can never go wrong with a classic LBD! I noticed the majority of garments were made from silk. As some of you already know, I love wearing silk and own several pieces. 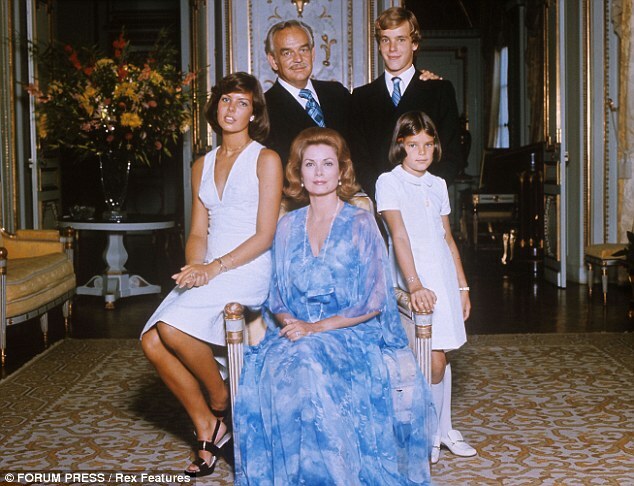 I even noticed that there was a dress made with printed silk chiffon. It was not unlike the digital prints you see today! I thought that was just fascinating. 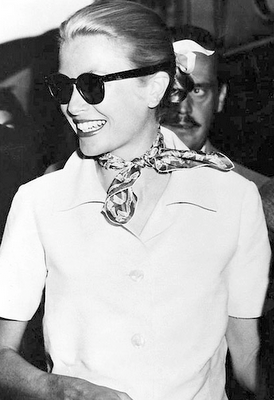 Grace Kelly favoured clothing which never took over her. She opted for simplistic styles, which allowed herself to shine through the garments. I could associate the way I prefer to wear my clothing and believe my style to be quite similar. 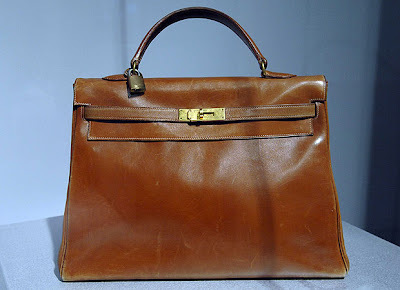 Grace Kelly was often seen wearing a Hermes bag on her arm when out and about. The famous 'Kelly' bag was named after Grace. These days, there is a long waiting list to own this bag, along with a hefty price tag. I'm of the opinion that owning a piece of something which links back to Grace Kelly herself, is worth every penny. I think I need to start saving now! Overall, I was very impressed with this exhibition. I thought that there were plenty of outfits on display. However, I had two bugbears. Firstly, I found the lighting to be much too dark. However, after about 5 minutes, my eyes adjusted and I could see everything really clearly. 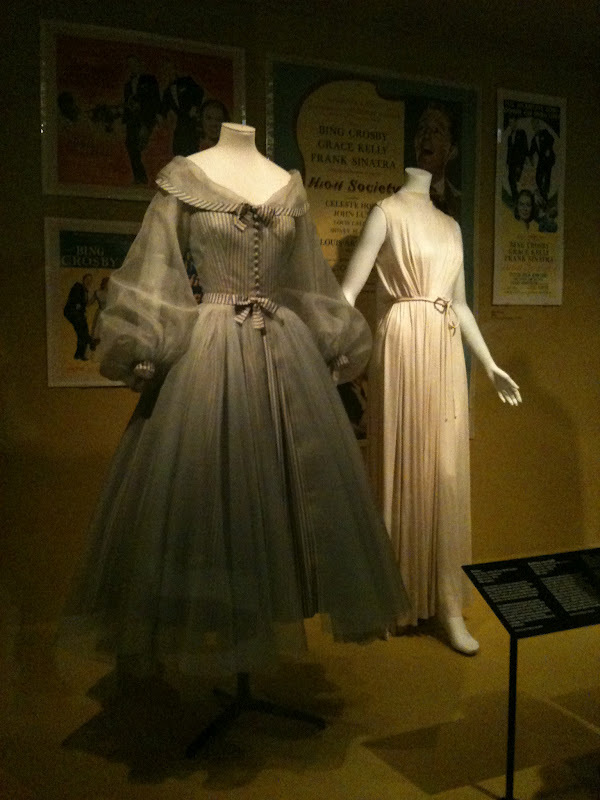 Secondly, Grace Kelly's wedding gown and shoes were replicas. 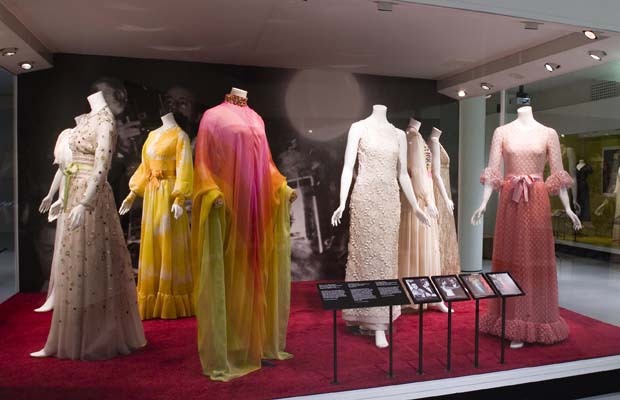 Since the original wedding gown is in such a fragile state, it could not be transported for this exhibition, which is understandable. If you are considering making the road trip to Bendigo, you won't be disappointed. This is a visual treat for any fashionista!! 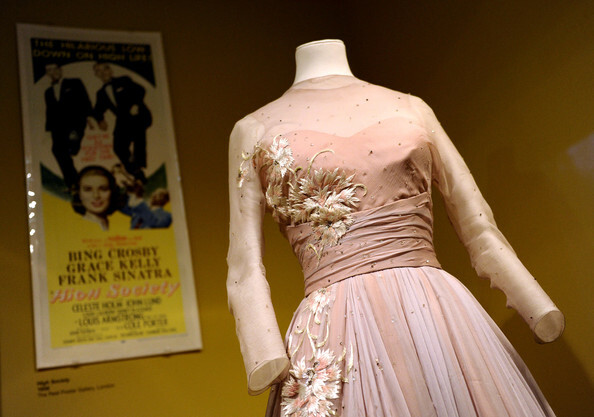 Grace Kelly: A Style Icon is showing now until the end of 17th June at the Bendigo Art Gallery. Accomodation packages are available through Bendigo Tourism. Why not experience a country girls' getaway for yourself? Love the classic outfit you wore to see the exhibition too! Looks like it would be a very pleasant exhibit to view! I love how classic the styles are! Thanks Mica! I could see this over & over and not get tired of it. They should bring out an Audrey Hepburn exhibition. That would be the icing on the cake for me. You have a great blog! You have a great sense of style! And I'm your newest follower! Hope you have some time to step by my blog too and maybe follow back :)! Thanks so much for your lovely comment!! Welcome to my blog! I look forward to keeping in touch. Gorgeous outfit! We like your shoes. It's attractive and cute. Sweet of you to say! This looks like the most amazing exhibition, would absolutely love to go! Thanks for sharing the photos. It sure was amazing! Glad you enjoyed the photos. 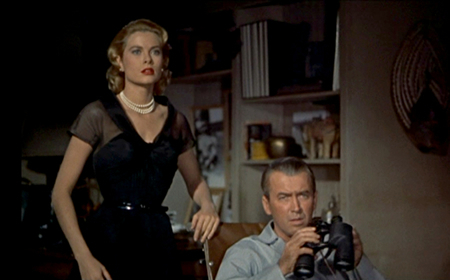 I LOVE Grace Kelly. In fact, one of my biggest style icons is her granddaughter - Charlotte Casiraghi! 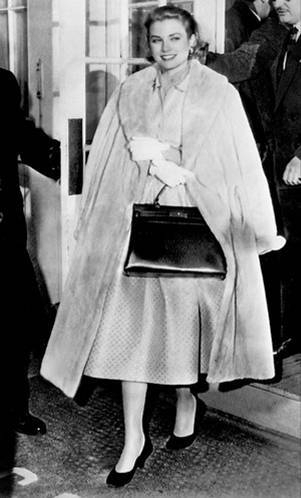 I think she is just the epitome of timeless beauty and style. This trip looks like it was so much fun! Grace is the epitome of chic! Sounds like this runs in the family.